Registration is required upon arrival. Check in time is 2:00 p.m. Check out time is 12Noon. A 1/2 day fee is charged for late site departure. All visitors must register at office. A fee is charged for each visitor. Campers are responsible for their visitors. 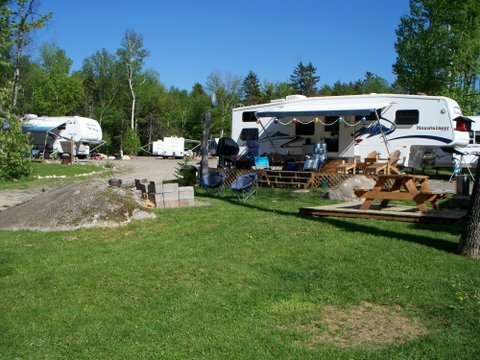 Sites are restricted to one camping unit and one vehicle per site. Consult office for additional parking area. Quiet hours are from 11:00 p.m. – 7:00 a.m. (Strictly enforced). There is a three day charge for holiday weekends. Boats and trailers are to be stored in designated area. Boats are to reduce speed to 5 MPH or less when approaching or leaving the docking area. Pets are to be on a leash at all times. It is the owner’s responsibility to keep them reasonably quiet and to clean up after them. Approved fire rings are provided for campfires. Camper waste water can not be discharged onto the ground. Rest rooms are closed for cleaning from 10:00 a.m. – 11:00 a.m. Refunds are given for 48 hours advance notice except for holiday weekends which require a 7 day cancellation notice. Substance abuse, foul language and failure to respect the privacy and property of others will not be tolerated. Mini bikes and four wheelers are allowed in the campground but may be used only for hauling dump tanks and for traveling to and from recreational trails. The speed is not to exceed 5 MPH. Swimming in lake is not allowed after dark. 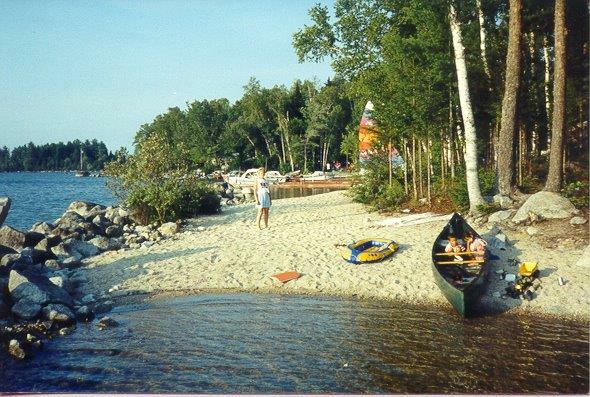 Children are to be supervised at all times when near water and on docks. Pool hours are 10:00 a.m. – 8:00 p.m. Children under 12 are to be supervised by an adult. Diving is not allowed, pool is 5 ft. deep. There is no lifeguard on duty. Swim at your own risk. Game room is open 8:00 a.m. – 8:00 p.m. weekdays and 8:00 a.m. – 10:00 p.m. on weekends. Smoking and alcoholic beverages are not allowed. 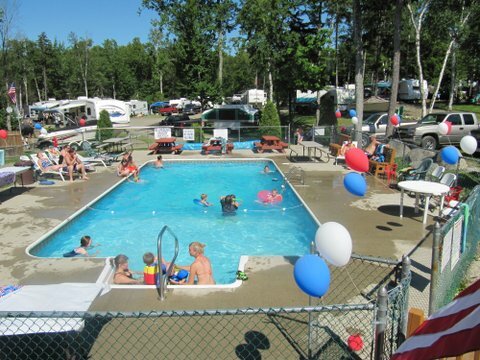 Laundry is open 8:00 a.m. – 8:00 p.m.
Fireworks are not permitted in campground.